This post has been a long time coming. 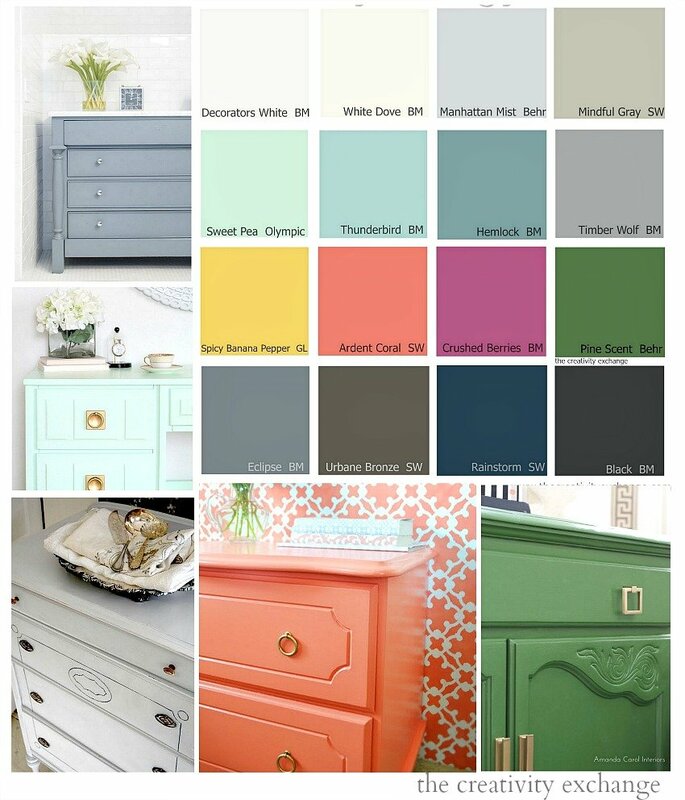 After all these years of creating paint color palettes, I finally took the time over the last few weeks to research and pull together my favorite paint colors for furniture revamps (several of these are awesome cabinet colors too). 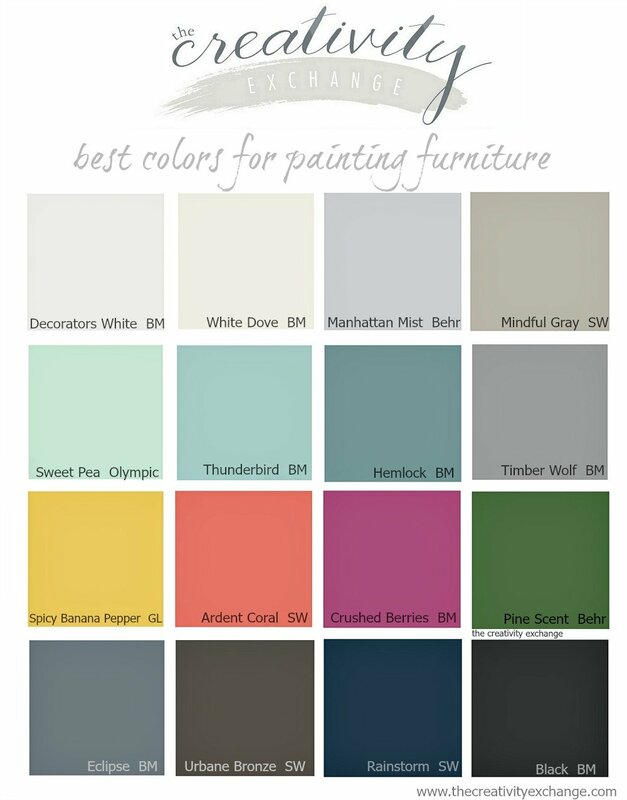 There are so many fantastic colors for painting furniture and it was so hard for me to get my list down to 16 colors. I narrowed down the list based on current color trends in furniture/design and the most versatile colors (mix of warm/cool tones). Most importantly, I picked colors that were across the board consistent and looked good on multiple different furniture revamps that I was able to find. 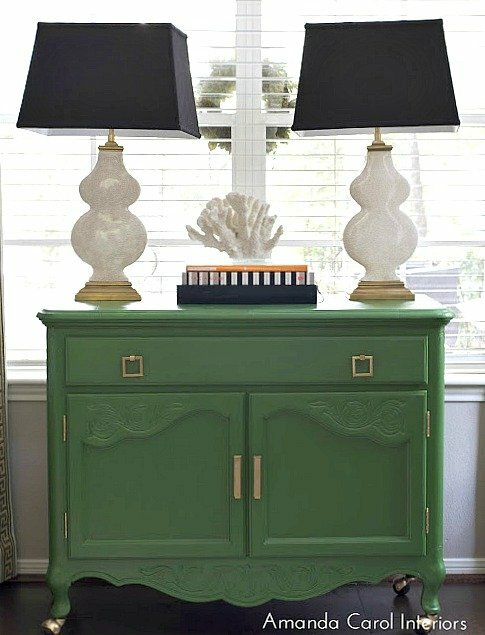 So today’s post is two-fold; 1) I wanted to share these great colors for painting furniture but 2) I also wanted to share with you some of my favorite paint tutorials from some awesome bloggers. Many of the colors in today’s palette we’re based on blogger projects, so below, you can see examples of these colors in action. Many of these projects have a tutorial with awesome step by step instruction on their techniques for how they painted their pieces. If there is a detailed tutorial, I note it below the image with the link. 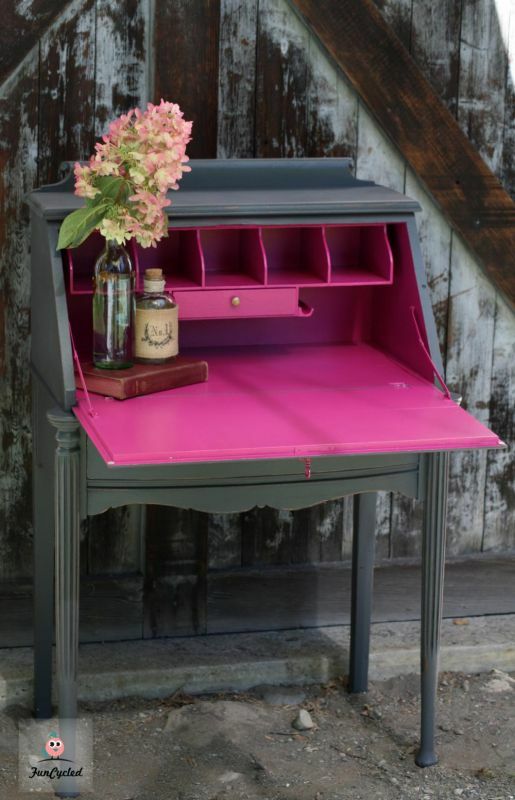 If you are not sure what paint to use, I broke it all down on this post here the difference between milk paint, spray paints, chalk paint, specialty furniture paints and traditional paints. I recommend choosing what type of paint finish you want first and then choosing a color. White Dove Benjamin Moore- Tutorial from Natty By Design here. Krylon spray paints have come out with spray chalk paints that I am loving right now and they have a fantastic selection of neutrals. You can read all about those paints here. Ardent Coral Sherwin Williams. Tutorial from Sarah M. Dorsey Designs for this piece here. Sweet Pea Olympic Paint. Tutorial from Liz at Love Grows Wild for this piece found here. 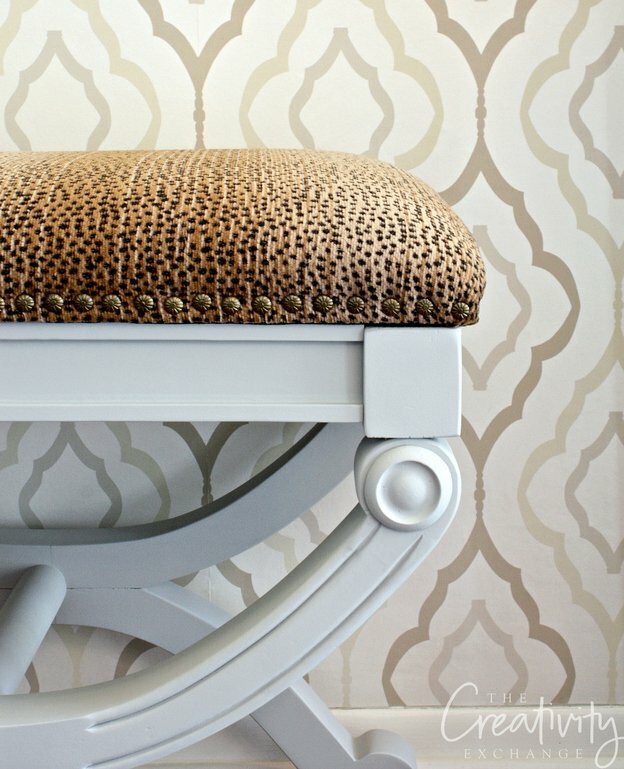 If you’re interested in learning more about using Velvet Finishes Paint, you can check out my post here. 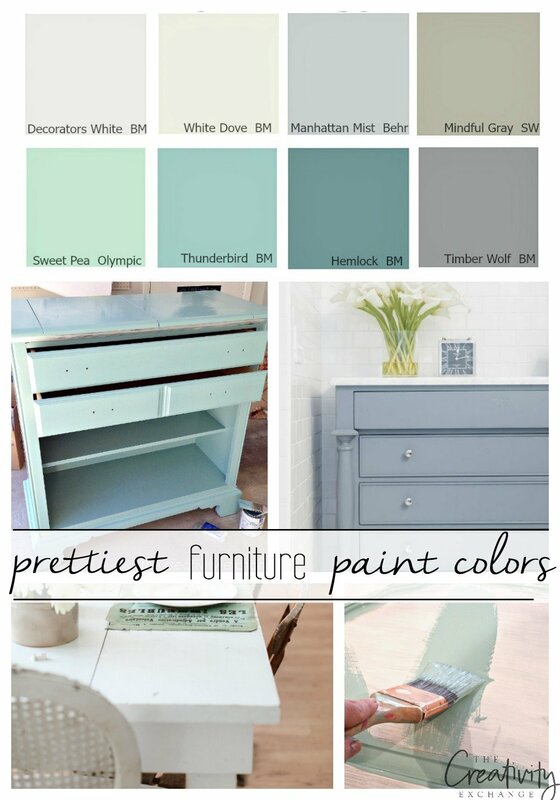 I haven’t featured all of the colors in today’s palette but if you want to see more examples of furniture paint colors, you can check out my “Furniture Paint Color Board” on Pinterest here . I also have a “Pick a Paint Color Board” here with more than 500 paint colors and examples of rooms, cabinets and trim. 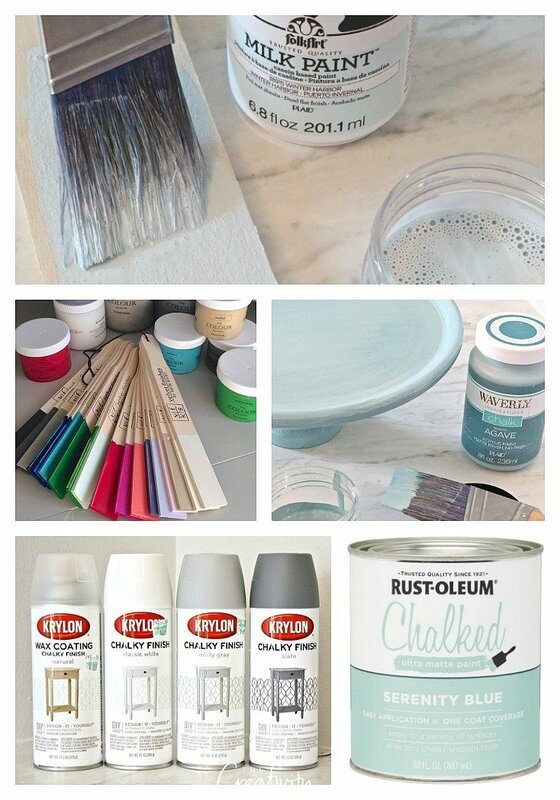 I so hope that these awesome blogger projects, tutorials and paint colors are inspiring you to paint something. 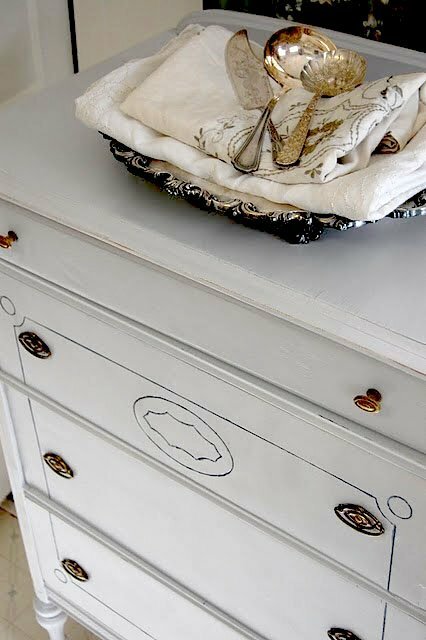 Again, if you’ve never painted furniture before, be sure and check out my post here that I wrote for the first time furniture painter. I walk you through each step of the way. Ok, so what do you guys think? Which color is your favorite in today’s palette? Of course you know I love them all. I would love to know what color is calling your name! Thanks so much for stopping by friends and if I have nudged you to paint a piece, please send me a picture! I always so love to see your awesome projects! Great ideas…I have SO much “brown wood” or “old” as Nate Berkus calls that color, that I wouldn’t know where to begin. 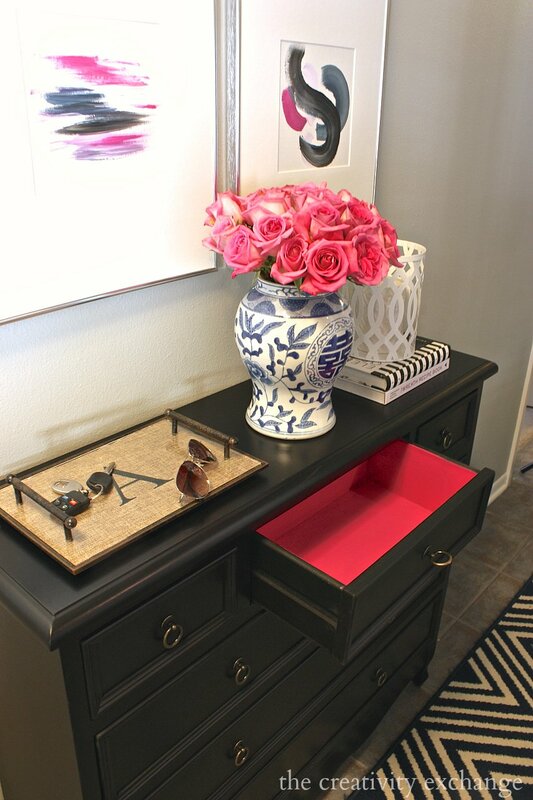 Black is easiest for the timid…what is the black on the chest with the pink drawer? It appears flatter than the bottom console, also gorgeous! Thanks! Thanks Diane! 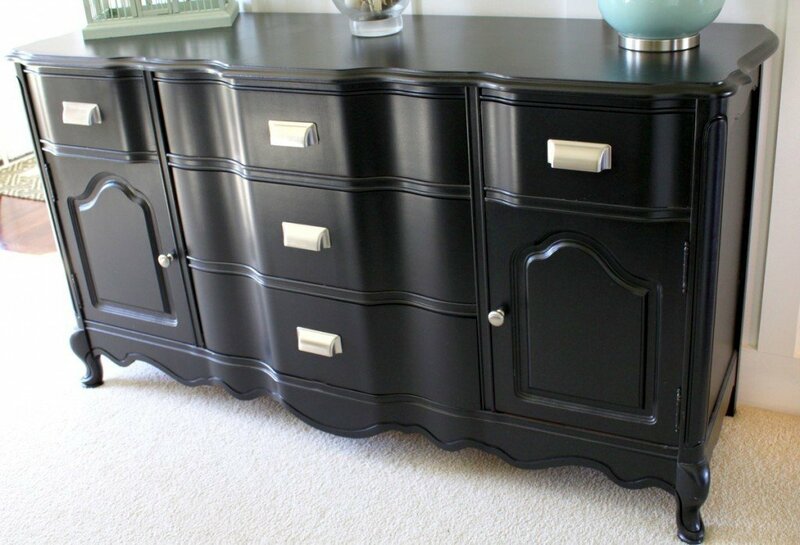 The black chest is from Kirkland’s, so it was already painted. However, you can get that flatter look by using BM black in matte/satin finish. Just a girl used a higher gloss. You could also wipe on a BM black in a flat for a more layered flat black finish. I hope that helps. Thanks so much Lisa and yes, yes re-imagine girl and roll up your sleeves and paint those pieces! I promise you, you can’t go wrong with any of these colors. You got this! Be sure and send me a picture! Thanks for your note! Did you read a page from my diary?! 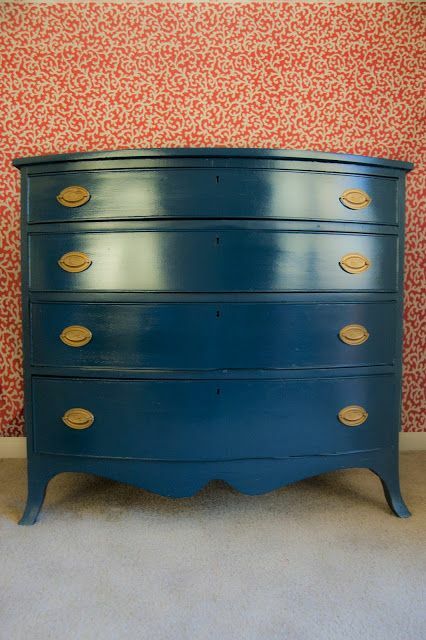 Just purchased a few CL finds and have been fretting over what color to paint them. Thanks for the ideas! Fantastic post – thank you so much for all the great info. I need turquoise. Do you have any recommendations? 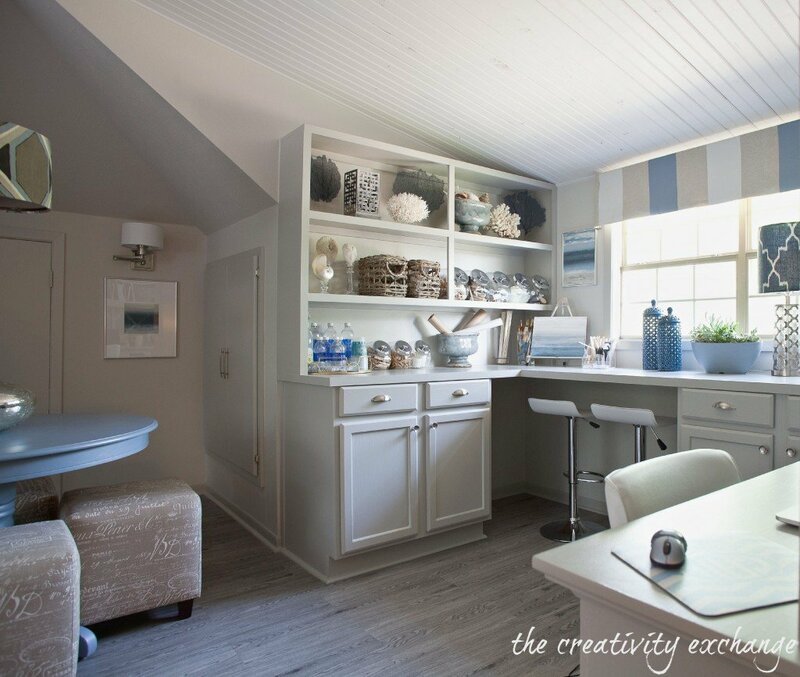 I am going to paint my kitchen cabinets in April so I have been looking for a good color. My kitchen cabinets are a very orange color oak, as well as my hardwood floors so I have to be very careful of my color choice. I need to tone down the orange. I am one of those people who LOVE the earth tones and the color brown. My kitchen and family room are divided by a step and my family room has a brown stone wall and dark wood floors. I was thinking of painting the kitchen cabinets a cream color in an effort to keep the area light. However, a lot of the cream colors have a yellow undertone, which I think would be horrible with my floors. 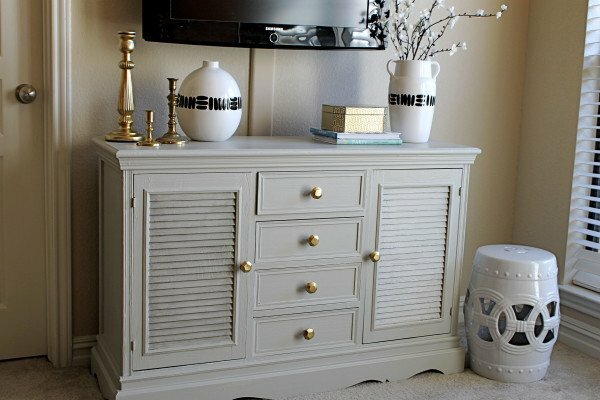 Do you have any cream colors that are more on the beige tones and not yellow tones that you can recommend? I love the color Mindful Gray! 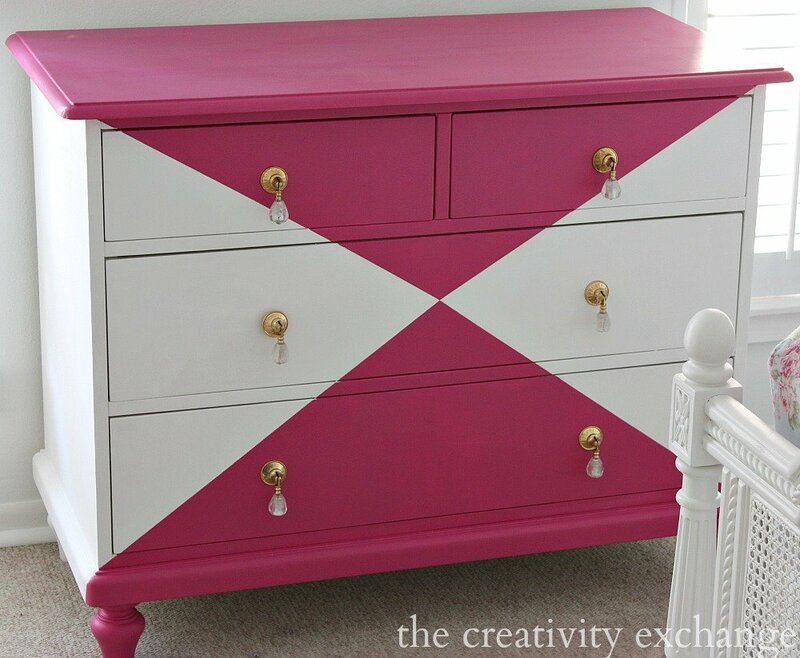 My guest bedroom is painted this color. I would like to paint my powder/laundry room on our main level and am debating painting the walls this color or the bathroom cabinet. 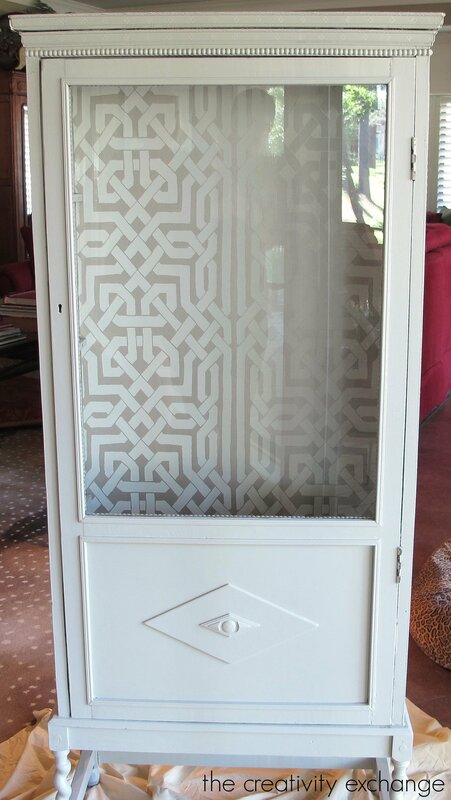 If I decided to paint the cabinet, any suggestions on wall paint color?? 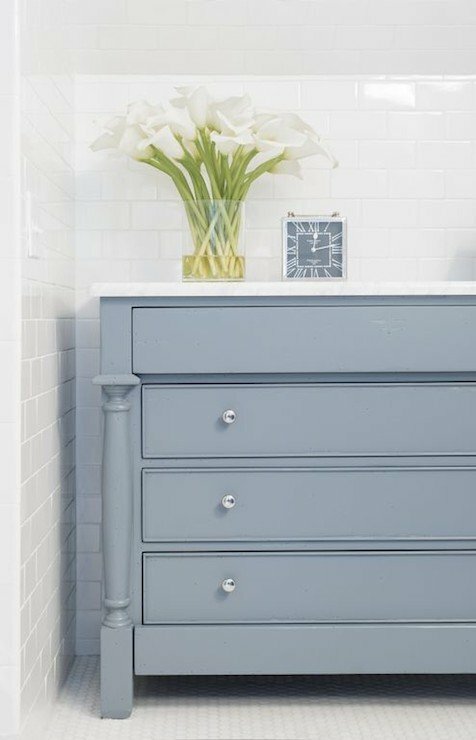 I also did a color palette with my favorite bathroom colors here:https://www.thecreativityexchange.com/2014/01/choosing-bathroom-wall-and-cabinet-colors-paint-it-monday.html for more suggestions. Thanks for you note Danielle! I hope this helps. Thanks for the advice! Repose Gray is a color we plan to use in the main parts of our house (living room, hallways, etc.). Another amazing color option! I actually do have a question about that color…we have chocolate brown curtains, light colored furniture and a chocolate rug with pops of color in our living room. Any concerns about me using the Repose Gray with brown?? Regarding the color palette for bathrooms, could I just pick any of those colors and use on the walls and then pick another from the palette and use on cabinet? 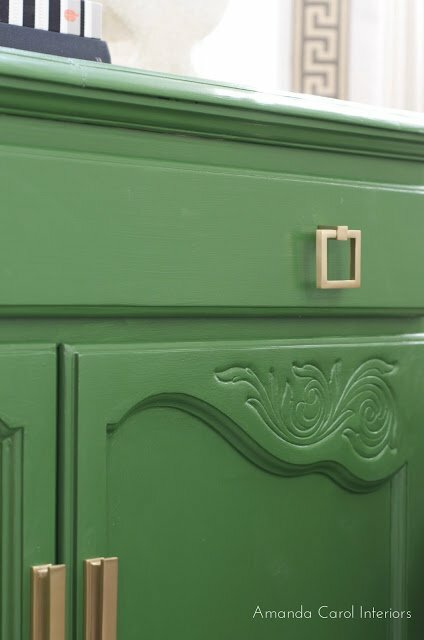 The pulls on the pine green cabinet and the lighter almost aqua cabinet are fantastic! Where are you finding the selections? 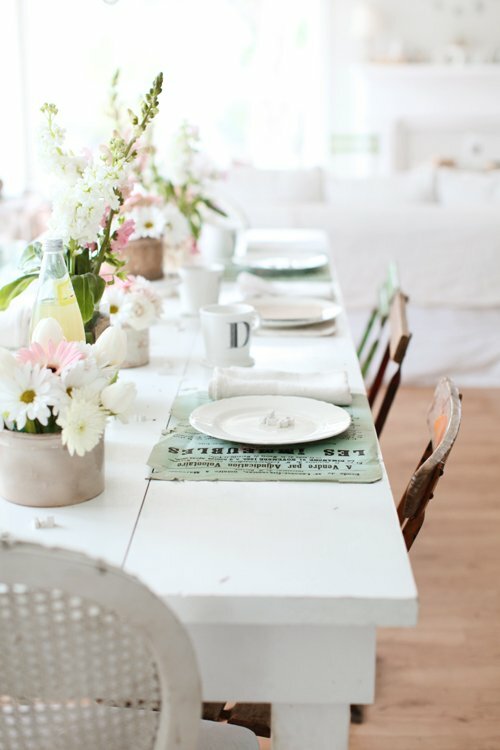 Love all these colours you’ve shown, and had a look at your Pinterest page ….great ideas there too. 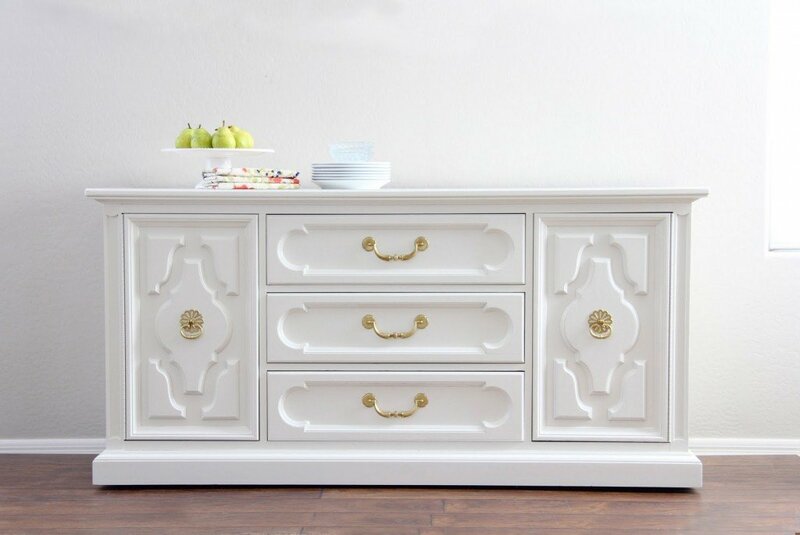 I’m painting a big chunky tv cabinet in navy blue, but am stuck on what to paint the inside…..all dark blue would be too much, and white too stark. I was thinking either something unexpected like a turquoise, or more sedate and going grey? Any thoughts, thanks. Allison…I love the range in your pallet! I also noticed many of these selections are from Benjamin Moore. That is my favorite brand of paint to work with plus they do have a lot of yummy colors. I have a wood cabinet (with glass doors) made of Canadian Maple. Beautiful as the color is, it doesn’t fit in here in Florida. I love the color palets in your blog and want to go with a coral/red. Can you suggest a specific paint color? Also, would you go with a semi-gloss finish or flat? My room colors are similar to palette above called “favorites from the 2015 paint color forecasts: greyish taupe couch; wall colors are tanish grey and sa light ea green/blue. 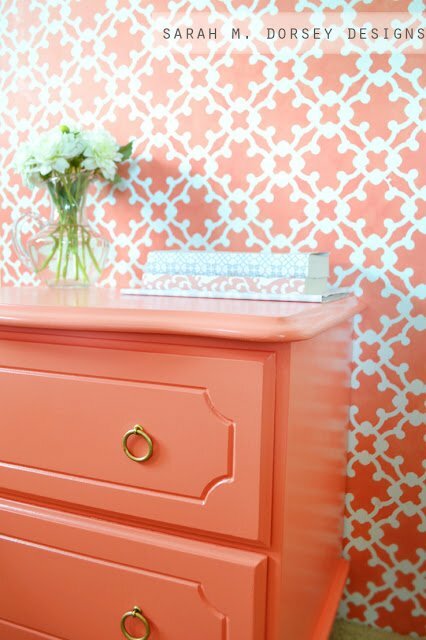 Coral is my choice for the “pop” of color in the room. Love all your ideas … all the colors are great choices I love Champion Cobalt and just painted my front door and am on my way to painting some bamboo barstools that I picked up from Goodwill … u have a great knack for color combination … thanks for your recommendations. Thank you for the inspiration! 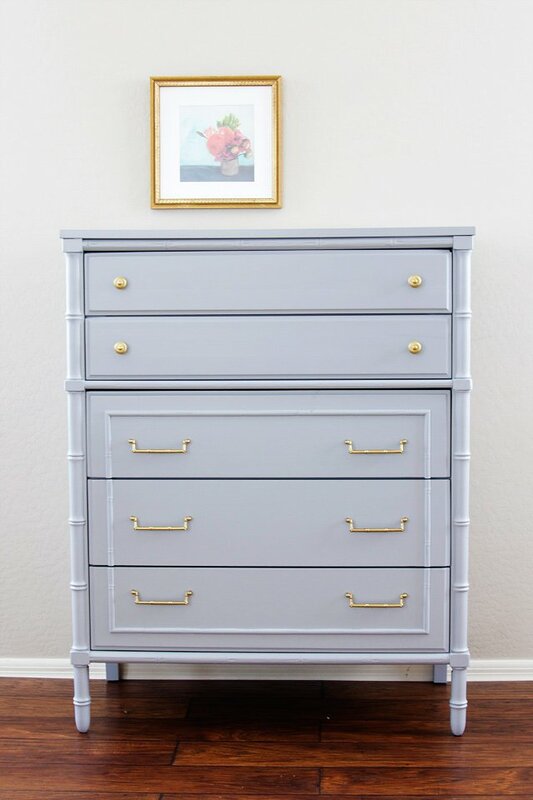 I refinished a wood dresser this weekend in Mindful Gray and it came out great. Just a few brush strokes which I don’t know how to avoid. I used followed the instructions to a T. I sanded, used Kilz, waited 24 hours, sanded, usedpremium Sherwin-Williams paint, a high-quality paint brush (Purdy) and the additive. Not sure where I went wrong. Any suggestions? 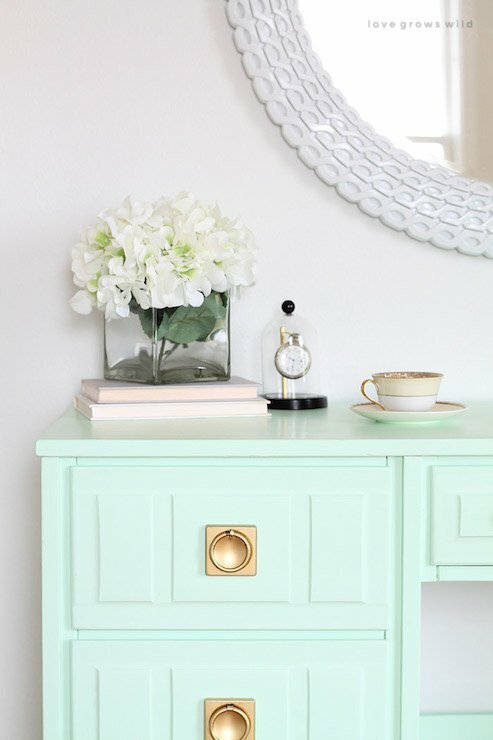 Where did you get your knobs for both green pieces? Rainstorm is listed as a SW colour….but in the bulk of your blog you call it BM Rainstorm. Could you please advise? My favorite colors are: Misty Blue- BM 820, Lemon Grass, BM 339, All A Blaze, BM. I also love Woodlawn Blue, Summer Blue, , Southern Belle, and Hale Navy. And Brazilian Blue is fantastic! All Benjamin Moore!